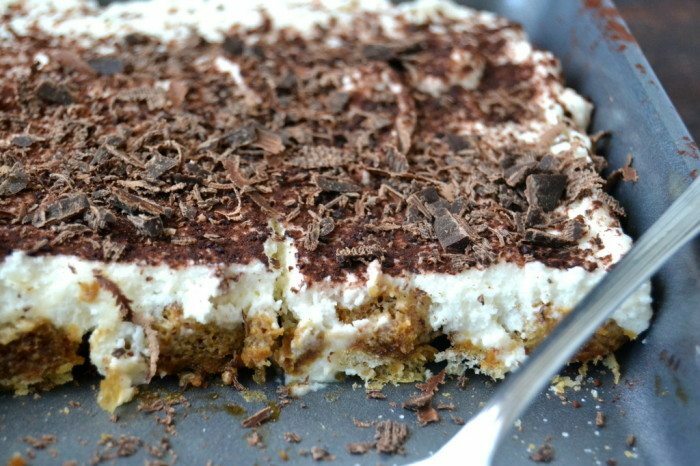 No-Bake Slab Tiramisu ~ this cool and creamy tiramisu cake recipe is an effortless way to satisfy a crowd ~ layer it up, and let it hang out in the refrigerator, it’ll get better as it sits! I couldn’t possibly love this throw-it-together one-layer easy-peasy no-bake dessert any more than I do. It’s perfect. 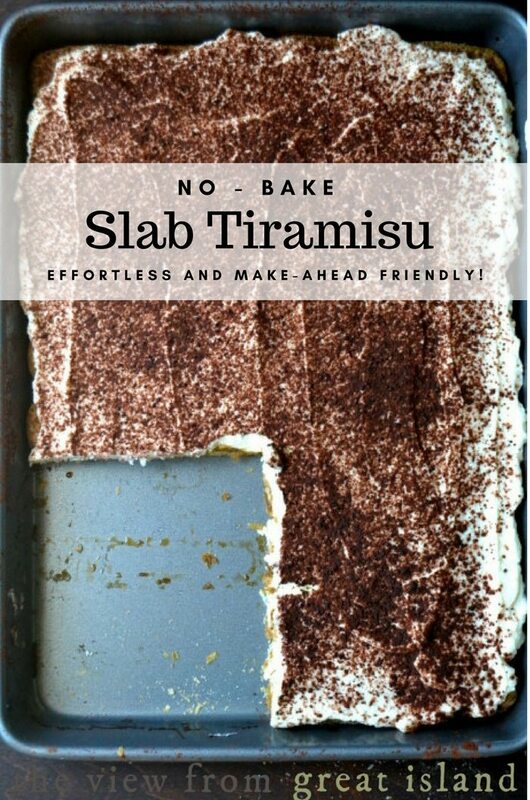 But why slab tiramisu? Because it’s quicker to make, and lighter than the traditional multi-layered version. 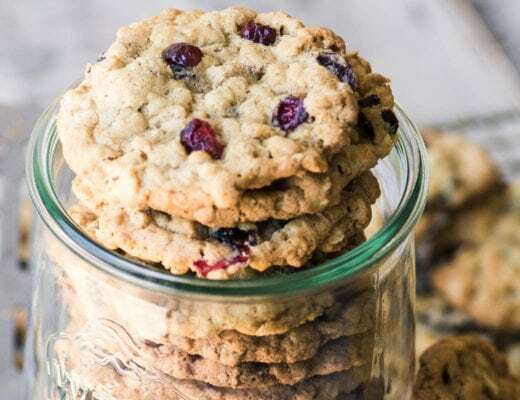 Dessert doesn’t always have to be a big decadent deal, and maybe it’s wishful thinking, but if we downsize a little bit, maybe we can have it more often. 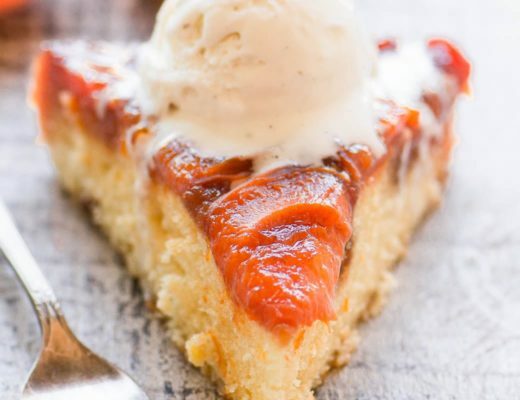 I don’t know about you, but I crave dessert even more during the summer, probably because the meals are so much lighter, I always seem to have juuuuuust enough room for a small slice…just 2 ladyfingers wide, to be exact. I don’t usually jump when I hear the term ‘no-bake’… probably because I associate no bake desserts with ingredients like instant jello, or fake whipped topping. But tiramisu is a venerable European dessert made with natural ingredients that just happens to be no-bake, so no special kitchen acrobatics are necessary to whip this up on a hot day. I’ve also simplified the traditional recipe, which includes a cooked egg custard, so there’s no heat of any kind involved here. And it’s one of those miracle cakes that actually gets better after sitting in the fridge for a while. TIP: Did you know you can make your own mascarpone cheese? Check out my HOW TO MAKE HOMEMADE MASCARPONE CHEESE post, you’ll be amazed! 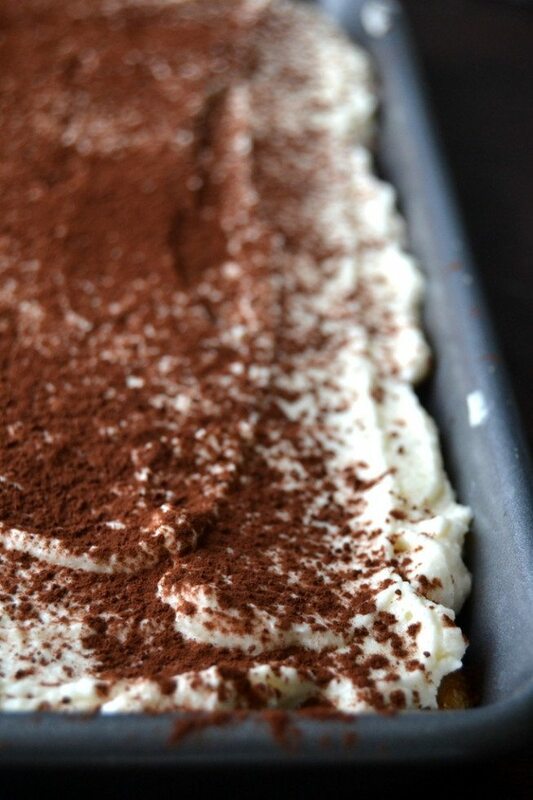 Tiramisu is one of my favorites, and I’ve made it so many ways here at tvfgi. This EASY SUMMER TIRAMISU is served in individual glasses for portability. And my TIRAMISU ICE CREAM CAKE serves it up as a frozen treat for the hottest nights. Mix the espresso powder with one cup of cold water, and sweeten with one tablespoon of powdered sugar. Pour the cold coffee into a shallow bowl and dip each cookie, first on one side, and then the other, Just wet the cookies, don't let them soak through. 2 seconds per side should do it. Arrange the ladyfingers in two rows of 10 in a 9x13 pan. Whip the cream until it starts to thicken, and then beat in the sugar and vanilla. Beat until the cream forms good stiff peaks, but don't beat too long, or you'll wind up with butter! Gently fold in the room temperature marscapone until the cheese is well incorporated. Your cheese must be soft or this will not work. Check your ladyfingers. They should feel soft to the touch. If they still feel hard at all, drizzle a touch more coffee over them. Pile the whipped cream mixture onto the ladyfingers and smooth out evenly across the surface. Cover and refrigerate for 3 hours or until ready to serve. Just before serving, top with sifted cocoa powder and some chocolate curls. My ladyfingers were just over 4 inches long. If yours are a different size, arrange them to fit the pan as best you can; you may have to trim a little off some of them to fit them in. It goes without saying that for the over 21 crowd you can add brandy, Kahlua, Amaretto, or any other spirit of choice to the coffee. 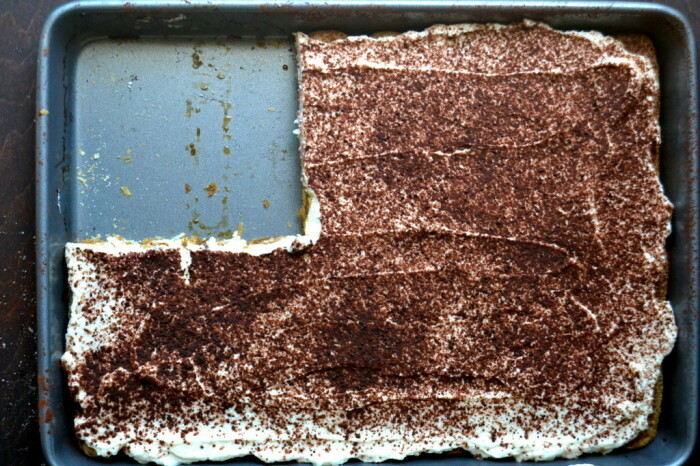 Mmmmmmm…..
Don’t forget to pin this No-Bake Slab Tiramisu! I will be making this for my Italian theme Bunco in April. Thx. Delish, I need to make it again soon, there’s nothing better than tiramisu! Can I make a day in advance or is that too long for it to sit? I think it would be fine in the fridge overnight…add the grated chocolate at the end. 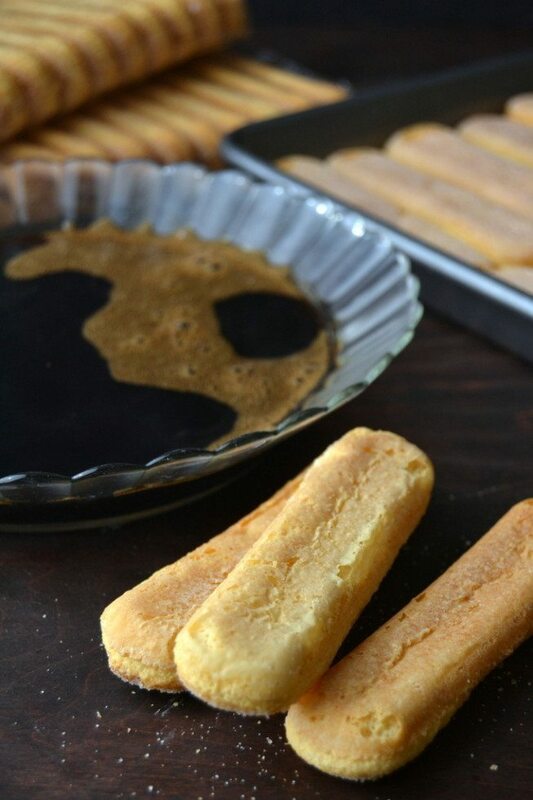 Could you do this recipe with soft (sponge cake like) lady fingers and just brush them with the coffee mixture? I’m sure you could, and I still wouldn’t skimp on the coffee mixture! Enjoy! Hi Sue, wow! does this look good, love that this is no-bake. Yun! This would be perfect for a summer gathering! Yum! Have a wonderful week. My favorite dessert, simplified! :) Thank you! Oh my – looks heavenly! Perfect dessert for summer. OMG! Shut the front door! Thsi looks absolutely delicious…Simple to prepare too, which just makes it that much better. I love Tricia’s comment too! And, like Judith, I could dive right in too! You have great restraint, Sue, taking a lady finger sized portion. I remember my sister-in-law teasing me about the multiple “silver” requests on her great desserts. This is such a perfect summer dessert and I love anything with the word slab in it! Hey – somebody cut out a big piece! That would be me if we were neighbors – I could seriously hurt this pan of deliciousness – looks lovely and tasty and just right for this time of year. Shared on Facebook! I couldn’t agree more….only finished breakfast an hour or so ago and could dive right into this!